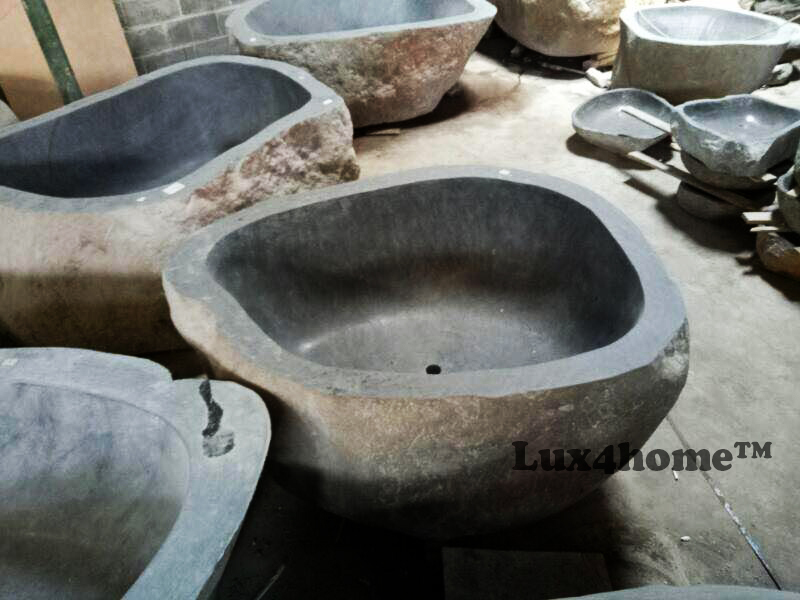 Long before we started our own production under Lux4home™ brand, we had been importing stone products to Europe. 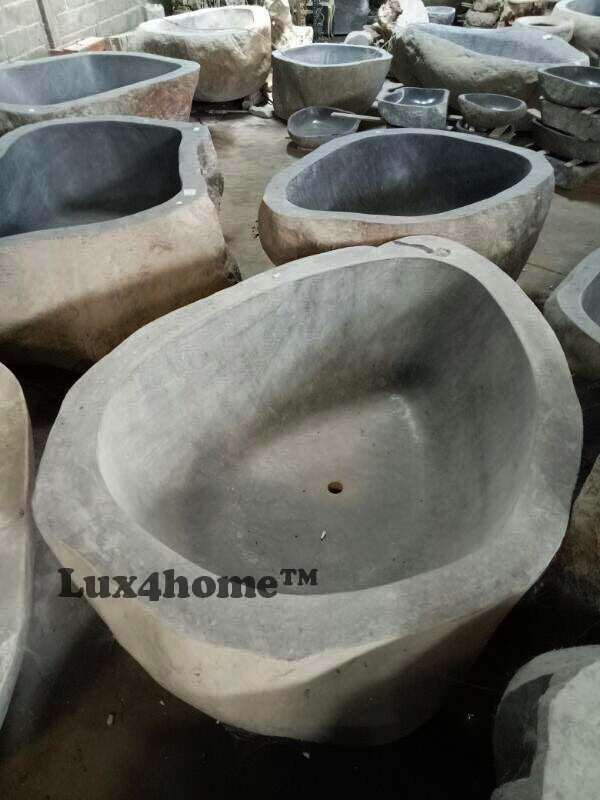 That experience allowed us to discover talented Indonesian craftsmen who are incredibly skilled in producing handmade wash basins, bathtubs and pebble products. We slowly started to form a team. These days, all of our employees are very experienced and their knowledge is the trademark of the highest quality products. Our wholesale customers can visit us in our Head Office in Krakow, Poland. 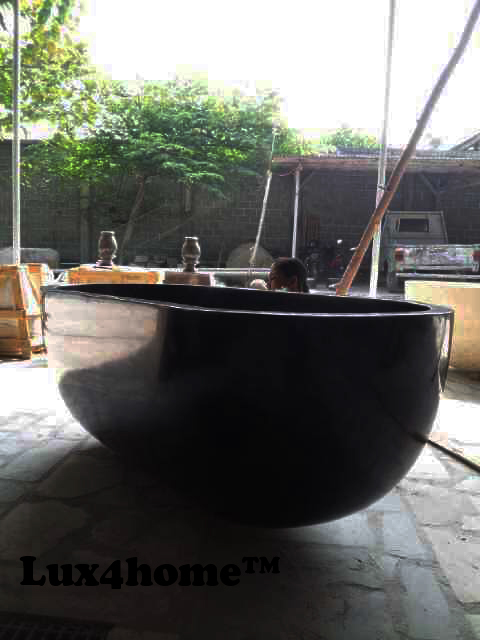 We understand that overseeing the production personally might be troublesome to travel to, since our factory is located in a very far Javanese region. 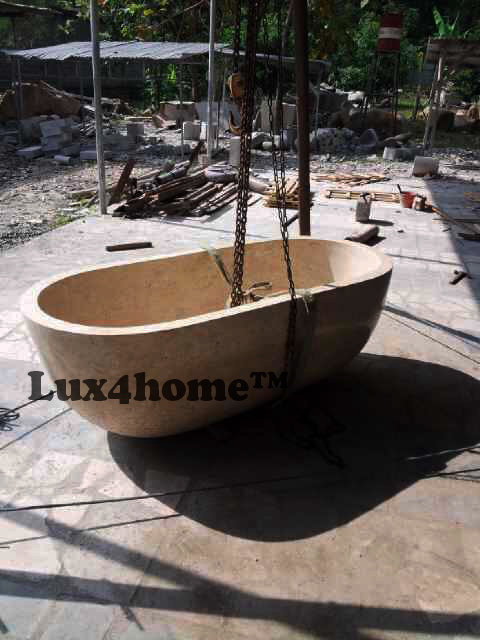 In order to allow our clients to find out more about the production process that Lux4home™ employs, this section presents details on how our manufacture works. 1. 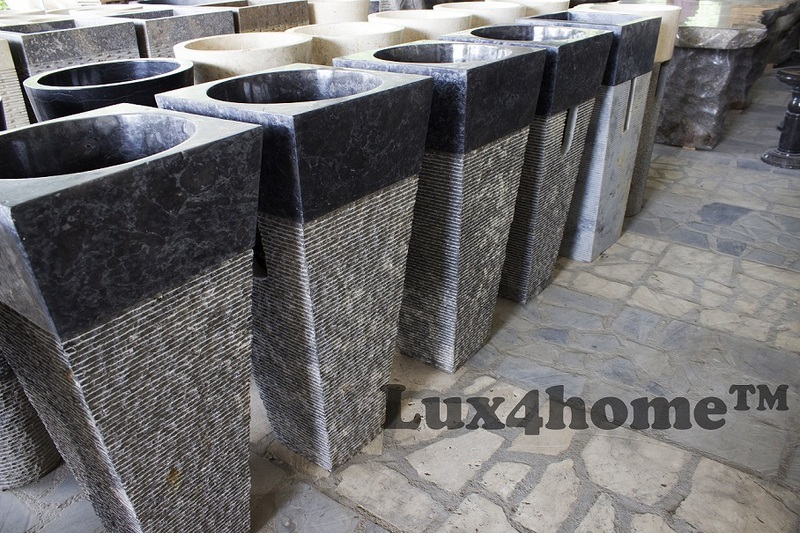 Pebble tiles, Pebble Borders & Standing Pebbles by Lux4home™. 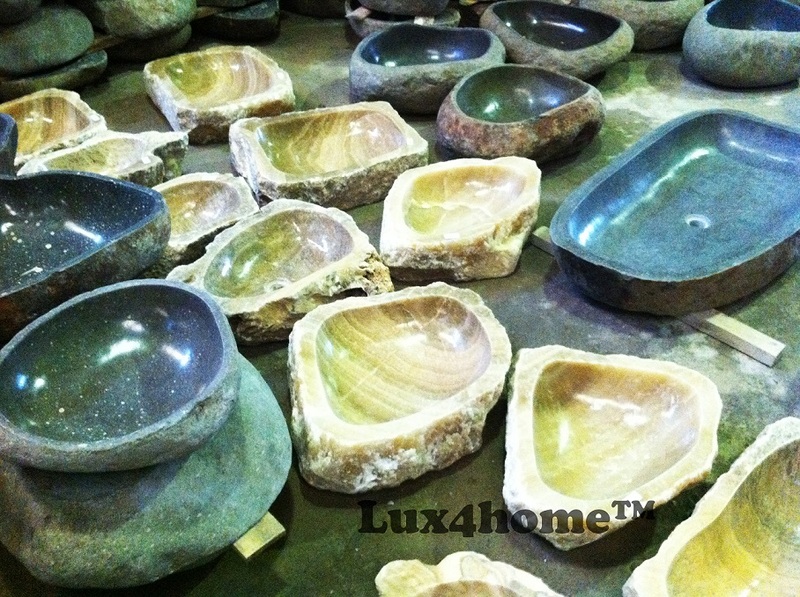 •Measuring every single stone, to get every colour and shape right. 2. 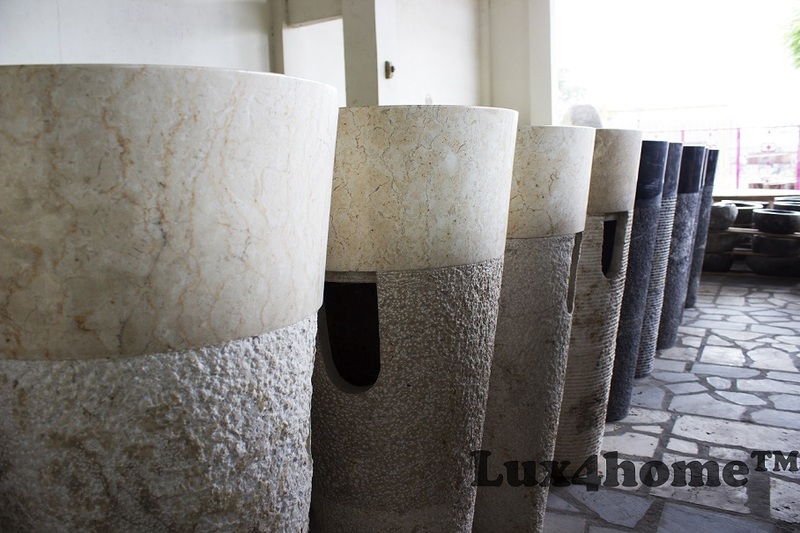 How it’s made – stone washtubs and stone sinks made of natural stone. It all begins with a mountain – An excavation from where the Stone block is mined (*it does not apply to River Stone Collection). 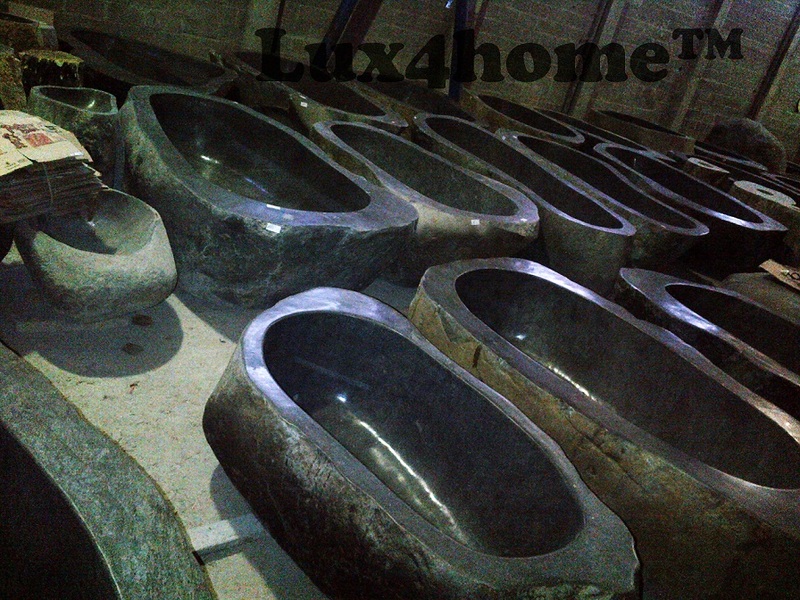 Later on it is transported to our manufacture, and it is processed, cut and polished. 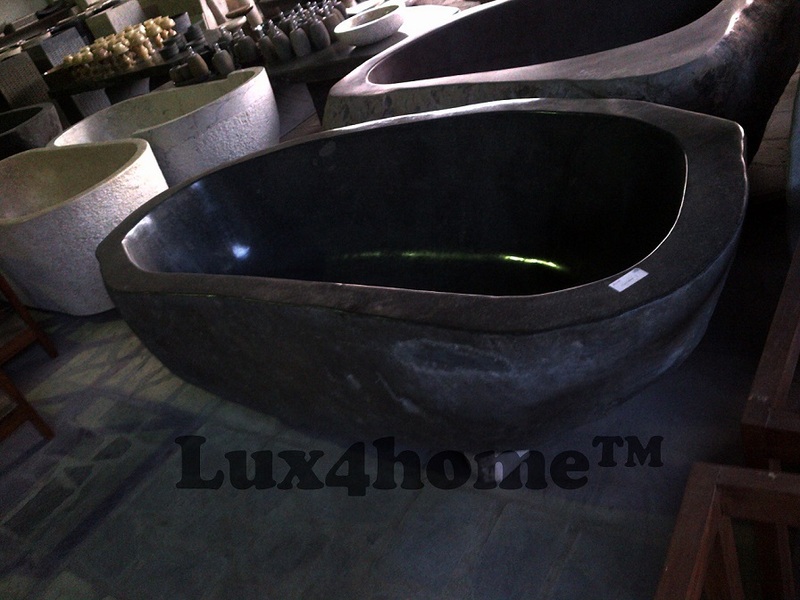 Lavabo sinks and Flumen bathtubs are made of stones taken directly from the Javanese rivers. Their shapes and outer sidewalls are not processed by craftsmen at all. 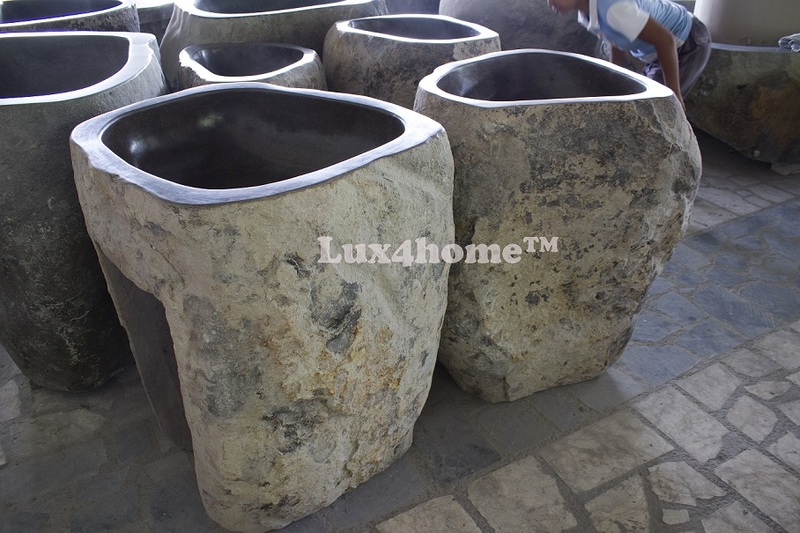 These stones are cut, carved and polished. At the end we shape the drain holes according to your country standards. This is a really hard work to do, but you must admit, that the finall effect is astonishing. 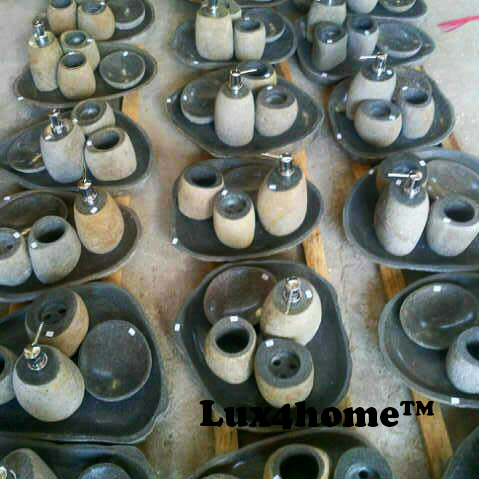 We use the leftovers from stone sinks and bathtubs production. This is because we take care of natural environment and produce as little wastes as possible. 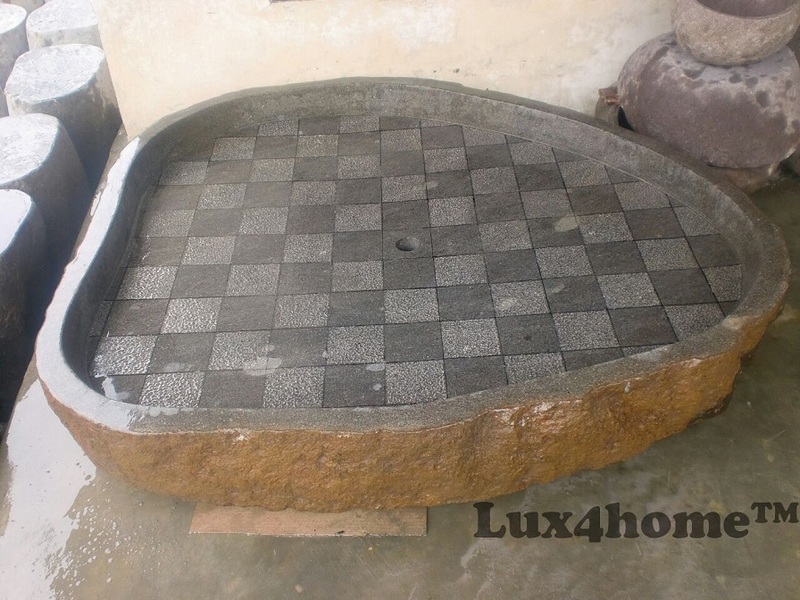 We manufacture mosaics manually. There are millions of possible models and colors. Never ending possibilities of arranging that depends only on ones imagination. That makes our offer unique and unrepeatable. 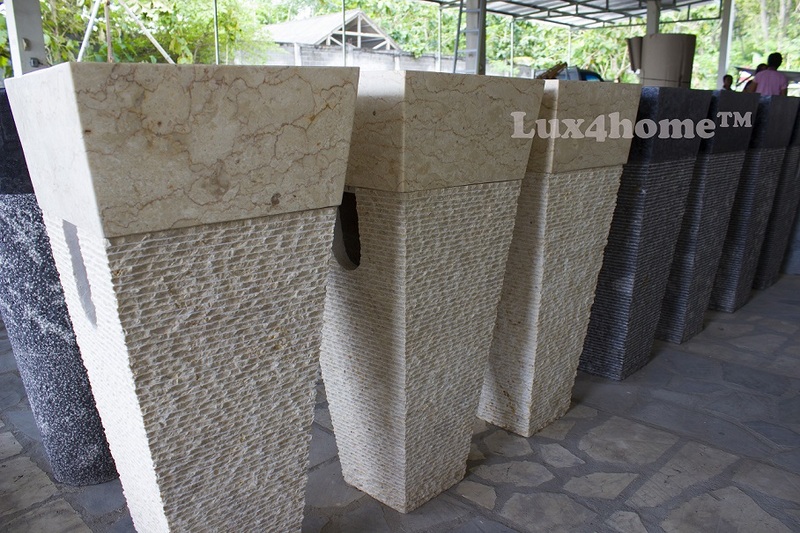 We manufacture bas-reliefs of limestone and sandstone. That is actually a very hard work of our best and most talented craftsmen. They make different shapes and patterns, like landscapes, nature but also industrial and abstract, or any other that our client desires. This is a very artistic job beginning with drawing a draft and later manually hammering a stone block. Long lasting and very hard work develops unrepeatable and unique piece of art. Like all the previous steps of production, packing and shipping is also very important. We take a special care to pack our mosaics in card boxes that have peep-holes. That innovation lets you see the product without opening the box. But also it shortens customs clearances during the shipping. For our prestige mosaics each single mosaic tile is put onto a cardboard and is foliated too. It prevents from any damaging but also makes our clients now, that what they get is absolutely luxury. All sinks and bath tubs are packed in wooden boxes. We only use fumigated and pliable wood from Indonesia. We have nothing to hide so feel free to contacts and start cooperate with us.